We have a new report(pdf) today from the Civic Consulting Alliance, pointing out that residential assessments (excluding condominiums and large apartment buildings) done by Joe Berrios and his crew are of poor technical quality, don’t make effective use of modern techniques, and tend to treat expensive properties more leniently than less expensive ones. The Tribune article gives pretty good context and describes the contents of the report, so I won’t try to duplicate it. Rather, I’ll focus on just a few things that caught my eye. The study uses data that apparently has never been made public. That is, it belongs to the public as represented by Joe Berrios, but the public hasn’t been permitted to see it. And we’re still not permitted to see it. In fact, the consultants and the Assessor seem to have spent more than two months negotiating a five-page nondisclosure agreement (reproduced at the end of the report) to make sure we wouldn’t see it. But we are able to see some detailed analysis, in the study appendix, that’s more useful than the raw data for understanding how assessments actually work. We get some useful detail on the bias in favor of expensive properties. The above figure, which is Appendix Table 5 in the report, shows the inaccuracy (left half, shorter bar means less inaccurate) and bias in favor of expensive properties (right half, shorter bar means less bias). 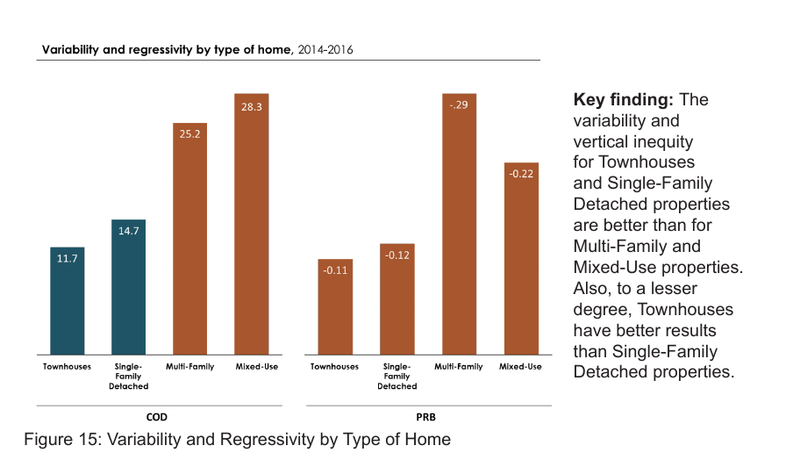 We can see that the bias in favor of expensive properties exists for all four categories, but is most serious for multi-family and mixed-use (residential with a storefront, for example). But for such properties, there’s no reason to expect that the expensive property contains the wealthier taxpayer. This implies that wealthier homeowners are getting a bigger tax break, proportionally, than less wealthy homeowners. I suspect it’s true, but I really don’t see any way around it within the current assessment system. 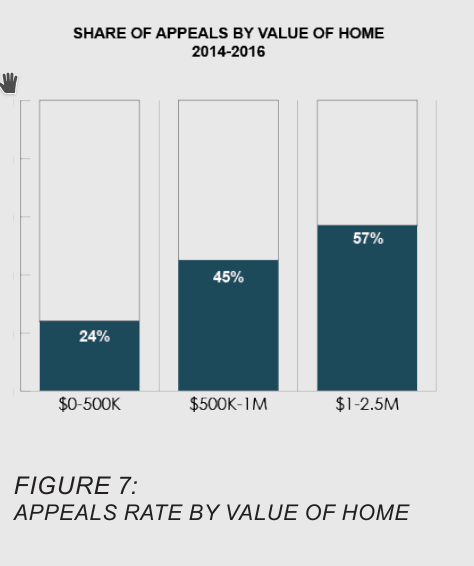 The wealthier homeowner has more to gain from a successful appeal (or, what is the same thing, more to lose by failing to appeal.) She may also be more comfortable dealing with government officials and forms (and perhaps with the tax lawyers who send mailings to homeowners). But isn’t the same true of the income tax? The wealthier taxpayer is more likely to know, or learn, tax-avoidance tricks, and/or to use a skilled tax preparer. The difference is that parcel-level assessment data is, to some extent, public information, but income tax returns in the U S no longer are. 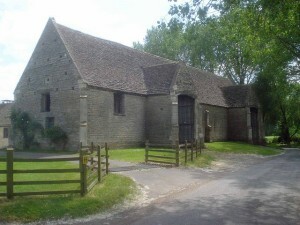 (1) Assess only land value, ignoring the value of any improvements on the parcel. (2) Post the assessments, including all information used to calculate them. [I]n Bill Clinton’s encapsulation of political strategy, “It’s the economy, stupid.” But the success of an economy can only be measured by its growth. Since growth requires the accelerated consumption of limited natural resources, it is not a sustainable model in the long run. …Around the world and throughout history, neighborhoods have succeeded in a million different ways. It all depends on how the earth is owned. That, the conclusion of Andro Linklater’s Owning the Earth, illustrates what is right and what is wrong with the book. Our quality of life does does depend on how the earth is owned, and Georgists are aware of the importance and practicality of recognizing each individual’s right to what no one produced. But must a sound economy necessarily use more of the earth’s limited resources? Is there no practical way to use resources more efficiently? And is there no possibility that economic improvement could be measured by anything other than economic growth? The book is wide-ranging and (mostly) well-written, making connections in place after place between how the right to use nature is recognized, and how well the community developed. It draws some connections that I hadn’t seen before, such as how the growth in mortgages on American farms followed logically from the end of homesteading. And Linklater does devote a couple of pages to Henry George, but seriously misunderstands why George’s proposals weren’t widely adopted, saying “[I]t is notoriously difficult to arrive at a valuation system that can clearly separate earned from unearned capital appreciation.” Here he means “separate improvement value from land value,” and he is wrong. Practical methods of doing so on a mass basis were described back in 1970 in TRED #5 (outline), which is not posted on line to my knowledge, and in this more recent paper by Ted Gwartney, MAI. And, of course, land values are routinely estimated by appraisers and are a component of almost every U S income tax return that involves commercial or investment real estate. 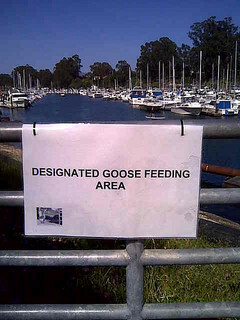 It is true that, with limited exceptions, George’s proposals weren’t adopted, but for a different reason. Mason Gaffney has provided a compelling and well-sourced explanation (also available in a book), and it is unfortunate that Linklater seems to have been unaware of it. One wonders what else he did not know. March 1 2015 update: I just discovered that Ed Dodson has produced a more thoughtful and detailed review of Linklater’s book. As Tolstoy pointed out in slightly different words, anyone who understands the fundamentals of public finance cannot fail to agree that the smartest way to fund our governments is to collect economic rent. So the challenge for Georgists is simply to get the 99% of the population who really don’t think about these things to do so. Which brings to mind some cards printed many many years ago by Advocates for Self Government. back. The phone numbers and addresses may no longer have any connection to the organization, because the card is probably over 30 years old. The idea is, of course, that if you like (or respect or admire) the person who served you, you don’t tip, but give a gift. 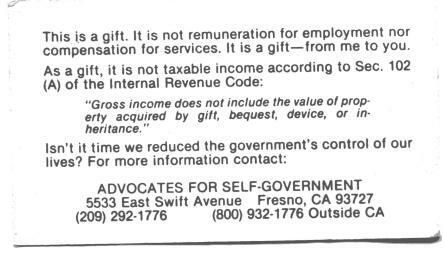 A gift to an individual is taxable to the giver, not the recipient, but as long as you don’t give any one person more than $14,000 you won’t pay gift tax. (I get my information from Wikipedia, which is no more likely to be incorrect than other sources I know of.) 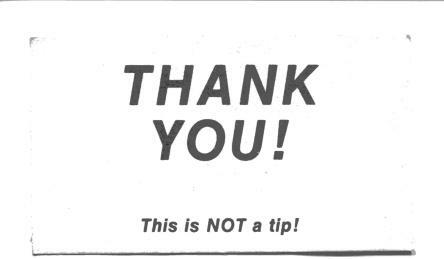 I find tipping disconcerting, but I do admire and respect the ability of many baristas, waiters, cabdrivers, barbers, etc who have skills I could never hope to develop. I like some of them too, and have had a few of them as students learning the fundamentals of political economy. So this is an approach Georgists might try, to encourage more folks to think about important issues, while making their lives just a teeny bit easier. No, I have no idea what happens if you put a card and a small amount of money in a tip jar. Maybe new regulations will be issued requiring separate gift jars, and auditors dispatched to assure compliance.. If the earth belongs to the people, then whatever is paid for the use thereof belongs to them in some equitable fashion also. Therefore, beyond what’s needed for legitimate government purposes, there would seem to be enough for a considerable “citizen’s dividend” for everyone. Plenty of discussion on this subject can be found here. My guess is that it would likely be enough to replace most of the aid programs which provide funds — rarely enough but maybe better than nothing — to low income people. One advantage is that it could be administered at relatively modest expense. A related advantage is that it can probably be made to work, with everyone getting what they’re entitled to. This latter aspect is what came to mind when I read this NY Times article, in which a Georgetown law professor summarizes “a litany of automation and contracting meltdowns” whereby the poor were unable to obtain benefits to which they were entitled under various aid programs and which may have been essential to their support. His point seems to be that, while healthcare.gov suffered major problems initially, it was soon repaired because its failure affected many non-poor people. (I have no idea how well-repaired it might be, but will assume he is correct about this.) He does not mention the citizens dividend, perhaps is unaware of it, or maybe ignores it because it would likely reduce the demand for lawyers. But he makes the case. A regular check for everyone, as a just entitlement, would be a far simpler system than most of the means-tested (and otherwise-restricted) aid programs which cost taxpayers so much money. 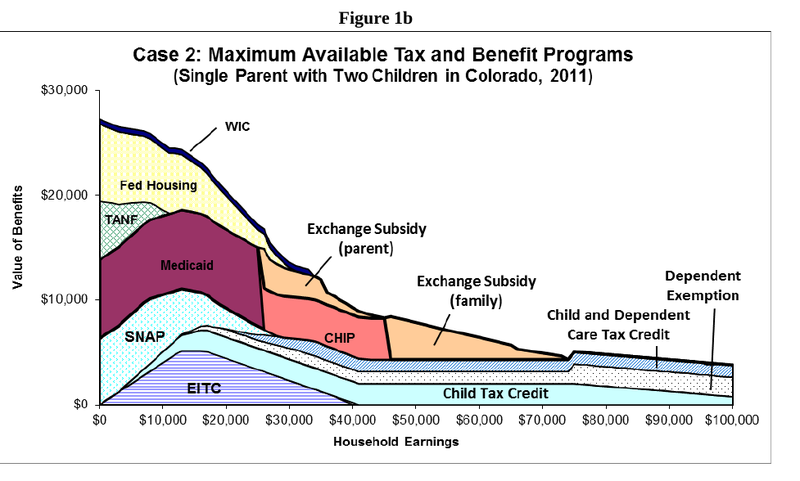 [I]f a single mother has two children in childcare and she’s making $36,000, she’ll pay about $310 a month for childcare. Then, if she gets a raise to $37,000, she’ll need to pay $1,200 a month for childcare because of the loss of a subsidy. Of course, it needn’t be a raise, it might just be a decision to work a bit of overtime. I have written about this before and I will probably have to write about it again. Means-tested aid is a disgrace. Yesterday’s Guardian carried a very encouraging report from India, where rice farmers are multiplying their production figures by carefully and methodically managing their crops. This has nothing to do with genetic modification, pesticides, or chemical fertilizers, and no need for “protecting” “intellectual” “property.” Of course it may require more labor per acre than other methods, but growing population means growing supply of labor. And it may work best on relatively small, owner-operated farms. 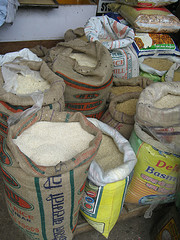 The method, known as System of Root (or Rice) Intensification, can be applied to other crops. It’s based on a French Jesuit’s observations of practices in Madagascar, promoted by Cornell’s International Institute for Food, Agriculture and Development. The Guardian article asserts that Cornell’s work was funded by “an anonymous billionaire,” altho links from the Cornell site imply that “actor Jim Carrey” is somehow involved. At this writing, there are 205 comments on the Guardian article, some of which are insightful. One suggests that the reported results are quite exaggerated, but to read beyond the abstract of the source cited seems to cost $19.95. I have no idea whether this particular method is as beneficial as described, but just last week I spoke to an Illinois farmer who reported that four adults were gainfully employed, supporting themselves, by intensively cultivating an acre of vegetables. One way or another, people will find ways to coax more food from the earth, if they have a need (or desire) and are permitted to do so. 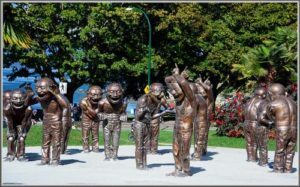 None of the writers who get attention seem to consider the citizens dividend. The basic idea is that government collects all the land rent — that is, the effective rental value of private control of natural resources — and share it with all citizens, everyone getting an equal share. It’s done on a small scale in several jurisdictions, including Alaska where each state resident gets a thousand dollars or so, each year, as a share of investments funded by mineral resources. Of course, natural resources include not only oil, gas, and ore, but also the electromagnetic spectrum, agricultural land, forests, and much of the value of land sites (except of course those which have no market value.) Suppose this rental value, or just a substantial part of it, were collected by the federal government and distributed, equally, to every U S citizen (maybe legal permanent residents should get a share also). How much would that be? Would it be enough to pretty much replace most means-tested programs? Wouldn’t that solve our problem? Of course, arguments for collecting economic rent go far beyond fixing the screwed-up incentives of means-tested programs and graduated income taxes, (visit a Henry George School or the Henry George Institute to learn more), but let’s not forget this benefit. Henry George phrased his main proposal in various ways, from “make land common property” to the more pragmatic “abolish all taxation save that upon land values.” Certainly a land value tax is a practical way of capturing land rent, and to the extent land value figures in existing assessments and taxation we are already capturing some of it. But it’s important to recognize that land value, or more properly the selling price of land, is only a close relative, not an identical twin, to land rent. One difference is that selling price is affected by estimates of what the future rent will be. And land selling price is much more directly affected by the cost and availability of credit than is land rent. Use of credit, in turn means an opportunity for banksters to get involved, decreasing the likelihood of real public benefit from public investment. 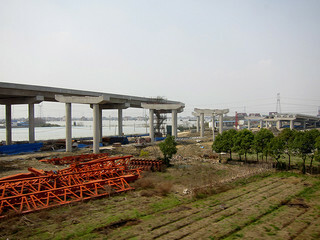 Which brings us to the World Bank’s 2008 report on Unlocking land values to finance urban infrastructure. This report really could be entitled “Worldwide Catalog of Methods More Complicated and Prone to Corruption than Collection of Land Rent, Which Could Be Used to Finance Some Infrastructure But More Importantly Involve Borrowing and Lending of Large Sums Which Is, After All, What The World Bank Does.” In addition to involving large loans, the outstanding feature of all of these methods is that none provide any resources for operation or maintenance, thus they can help bring about the need for new infrastructure in the not-too-distant future. Safety nets, in which only those who are in difficulty receive the wealth. He does not cite any example of a government-funded safety net, tho it seems that Medicaid, which is offered only to those who can meet some need-related criteria, would be a good example. Like any “need-based” government program, it presupposes an apparatus for monitoring everyone’s income from all sources. And does it have fraud? Take a look. Perhaps the safety net isn’t much superior than the drag net. Is there a better approach? Of course. The citizens dividend does not take anything from wages and salaries, does not require an income-monitoring apparatus (altho it might require some kind of citizenship certification), and gives each of us a fair share of what belongs to all of us.